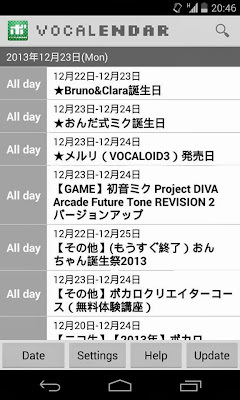 VOCALENDAR, a popular calendar website filled with information about Vocaloid events, has recently released an application for Android. 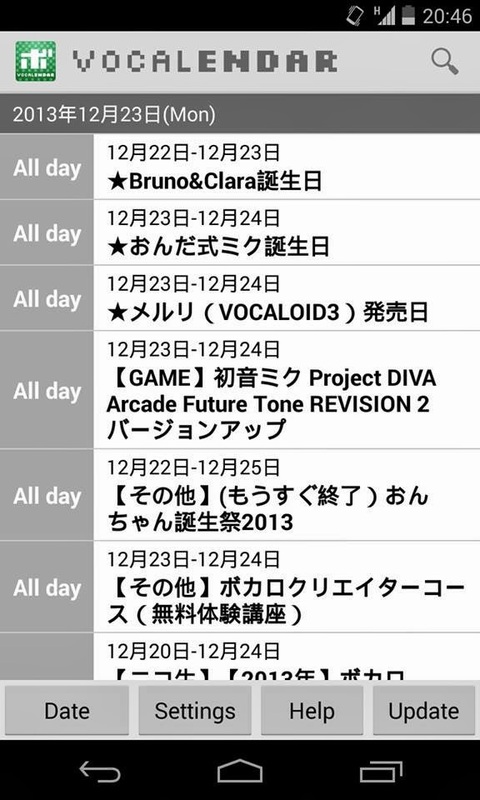 With VOCALENDAR, you will be able to view all events/games/CDs and others all related to VOCALOID. You won't have any worries of missing anything ever again. The app also has a search function so you can search for a specific date. Each event is clickable and provides you a link to the official website of the event. The settings are well designed and you can customize the application to your liking. However the only drawback is that the news/events is only available in Japanese, the settings UI however, is in English. Since this app is still in beta, do remember to give your feedback to the VOCALENDAR team! There are apps for everything. There is an event app for android, and a million others. It doesn't need to be limited to one game or kind of event. 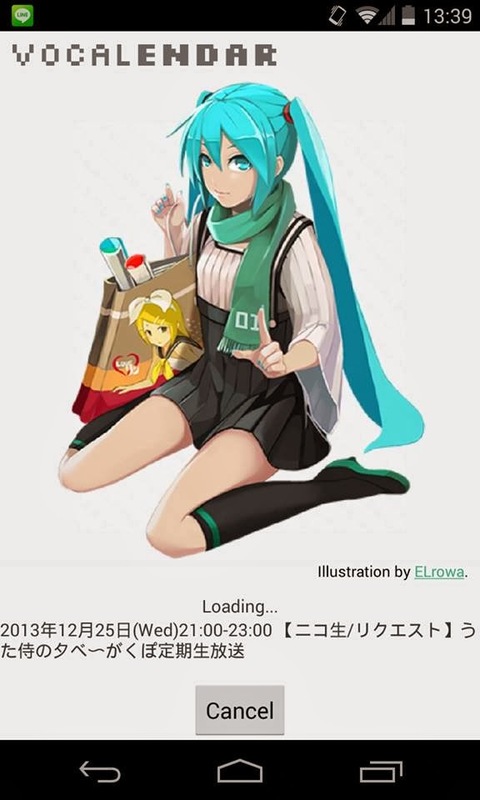 [Product] figma Snow Miku ARRIVE!